TalentCap #DMICON Digital Marketing Innovation Conference to Deliver Cross-Industry Insights for ASEAN Real Estate CMOs Leading the Experience in a Customer’s World. 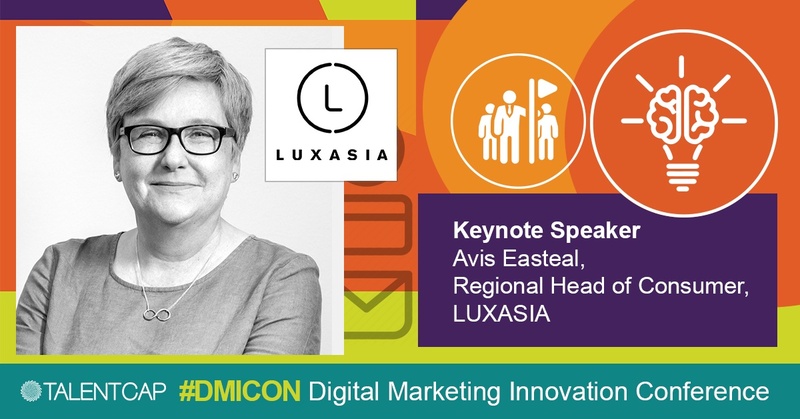 >> TalentCap #DMICON Digital Marketing Innovation Conference to Deliver Cross-Industry Insights for ASEAN Real Estate CMOs Leading the Experience in a Customer’s World. The TalentCap #DMICON Digital Marketing Innovation Conference delivers practical digital marketing insights from global industry leaders. The highpoints include 20+ speakers from across all industries, 2 panel sessions and 3 workshops by prominent international coaches. The conference is targeted towards key decision makers, C-levels and marketing professionals from every sector and participants will be able to explore how top digital marketing leaders maintain their edge through 27+ different tactical areas of digital marketing. This includes everything from customer experience, video marketing, social media marketing, omnichannel, artificial intelligence, to data and analytics. Price and features are no longer giving a company an edge. Digital marketing is revolutionising the customer experience in every sector with interaction between businesses and consumers are becoming more complex, personalised and more interactive. To remain competitive and meet the increasing demands in today’s digital market, ASEAN companies are reinventing themselves by making customer experience as the main focus in their digital marketing and communication strategy. Price and features are no longer giving a company an edge – as how a company makes the consumers feel is just as, if not more important. With the market growing highly saturated with the growing numbers of brands offering similar products and services, CMOs have to exploit the latest technology in digital marketing such as artificial intelligence to explore the insights on their customers. According to Forrester Research, insights-driven businesses are gaining an edge on companies that are not insights-driven as they are able to produce content accustomed to every individual consumer. ASEAN Real Estate Leaders Are Looking Into Innovative Digital Marketing Strategies To Remain Relevant. The ASEAN property sector is becoming notoriously known for its slow jump in the digital bandwagon, as they prefer to advertise their products using traditional and offline channels. However, to stay relevant in the competition, today’s real estate leaders and marketers are looking into digital advertising to reach out to potential customers while improving their existing customer service by delivering an exceptional customer experience to potential prospect and existing customer. One of the reasons why property leaders are finding it difficult to provide an A+ customer experience is because they are failing to identify the various touchpoints experienced by prospects and existing customers when dealing with their company – from the initial engagement until parting ways. Both prospects and existing customers are having completely different expectations, demands and touchpoints, therefore it can be difficult for property companies to successfully target and deliver amazing customer experience at every touchpoint. Issues such as limited channels for inquiry, difficult transition from web browsing to the application process, limited channels for payment and renters aren’t able to get in touch with the management anytime of the day are some of the issues that can decrease the level of customer satisfaction thus affecting the overall customer experience. Poor customer experience can result in loss of prospect as well as the existing customers as they may look into other real estate companies that can provide for them better services. It is important for companies to list out every potential contact that consumers may have with the company, and review the current procedure and how it can be improved. For example, companies must make sure that their websites are easy to navigate and provide all of the necessary information so prospects can make decisions a lot faster and easier. Besides that, companies must make sure that someone is always available for consumers to get in touch with, even outside regular business hours. Chatbots is greatly solving this issue, as it is possible for chatbots to respond to any inquiry at any given time of the day, in a very precise manner while keeping the conversation feeling “humanlike”. Customer experience is the responsibility of the entire organisation. All business units within organisations must work hand in hand with their digital marketing teams to ensure that excellent customer experience continues – even after successfully changing a prospect into a customer. By employing suitable digital marketing strategies and technologies, the company can assist their employees in meeting the needs of their customers therefore ensuring an increase in the overall rating for customer satisfaction and experience. Staying Ahead by Learning & Implementing Key Tactics from Other Industry Domains. 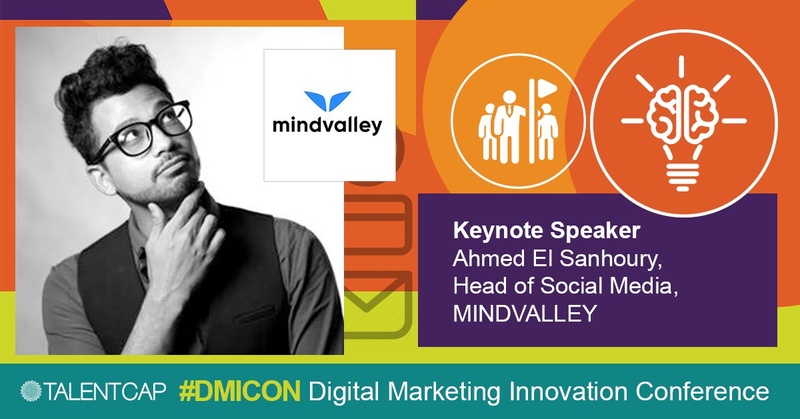 Keynote speaker Ahmed El Sanhoury, the Head of Social Media at Mindvalley presents the topic “Leads and Ecommerce Conversions: How Social Engagement and Listening Triggers Conversions”. Mindvalley is a global school headquartered in Kuala Lumpur where the aim is to deliver transformational education for all ages. With over 3 million students from around the globe, Mindvalley partners with some of the most exceptional teachers, best-selling authors and brilliant minds to produce the best-in-class learning experiences in every area of life. Whether it’s Alan Watts (Zen Philosophy), Robin Sharma (Leadership), Lisa Nichols (Public Speaking), Donna Eden (Energy Medicine) or Neale Donald Walsch (Conscious Evolution), Mindvalley teachers are legendary educators in their field with over 70,000 hours of video content are consumed by fans, every week. Ahmed’s keynote is for decision makers and for anyone else who are interested to learn on how to create a framework for social listening and how to apply advanced social engagement tactics to a brand’s social media marketing. Ahmed will go through the methods that have worked during product launches, events and live streams – including the story of how they made 500 USD by accident. Ahmed will also showcase how social engagement benefits organic and paid content performance directly and how to drive leads to funnels and touchpoints. Luxasia is Asia’s leader in omnichannel marketing for beauty and luxury lifestyle brands where it carries over 150 of the finest beauty and lifestyle brands from all over the world which include La Prairie, Bvlgari, Guerlain, Prada and Hermes, and successful joint ventures with the likes of LVMH Group, PUIG, Yves Rocher, and Elizabeth Arden. With over 32 years of experience in the business, Luxasia has become a regional beauty brand empire with more than 2,000 staff in 15 countries across the Asia Pacific, and a growing network of over 3000 retail touchpoints in department stores, retail stores, standalone stores and even pop up stores. Keynote speaker Ronnie Thomas, the Head of Strategy and Planning at PHD presents the topic “B2B Marketing: How To Create A Demand Centre By Looking Internally Rather Than Externally For New Sources Of Growth”. PHD is one of the most acclaimed media and communication agency networks with numerous recognitions from around the world. Founded in the UK in the year 1990, PHD combines the latest industry insights with the best creative minds to deliver smart strategic thinking and creative innovation for some of the world’s largest advertisers. With over 28 years of experience, PHD is a global network with 6,000 employees and 80 offices in multiple countries, and continue to lead the way in the evolution of communications planning around the world. The conference feature includes a deep dive workshop facilitated by Ian Rheeder, a Chartered Marketer and an international sales coach with over 30 years of practical sales experience and an obsession with studying neuroscience. To this end, he developed the simple CUSP® Sales & Negotiating System. Over the past decade, Ian has successfully trained thousands of salespeople – every single delegate strongly agreed that CUSP® is a simple yet powerful persuasion system. His previous corporate position was marketing & sales director of the global zipper giant, YKK. His sales and marketing management experience includes 30 international FMCG and B2B brands. 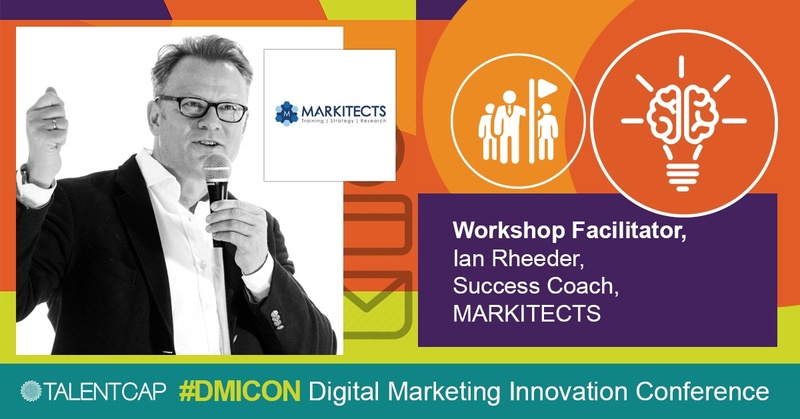 At the #DMICON, Ian facilitates the workshop topic, “The Neuroscience of Customer Experience Management.” Ian will get you to fully appreciate the elusive topic of Customer Experience Management (CEM) by presenting actual case studies that have been recorded using hidden cameras. Some of the take away of the workshop include understanding the basics behind customer experience management and insights on how to measure Employee Engagement and what it means for the customer. Teaming up with the region’s innovative and forward thinking organisation, TalentCap is pleased to welcome on board, PRWIRE Asia as a Strategic Partner at #DMICON Digital Marketing Innovation Conference Singapore, September 2018. PRWIRE Asia is a leading Asia-focused press release newswire, focusing to develop an impressive identity for their client’s brand while accelerating the brand building process by elevating the story to be highly attractive in online search engines, especially Google. PRWIRE Asia will support #DMICON by providing international media outreach for the conference and delegates, raising awareness across SEA and worldwide through their highly customizable public relation, branding, marketing, and commercial journalism solution. 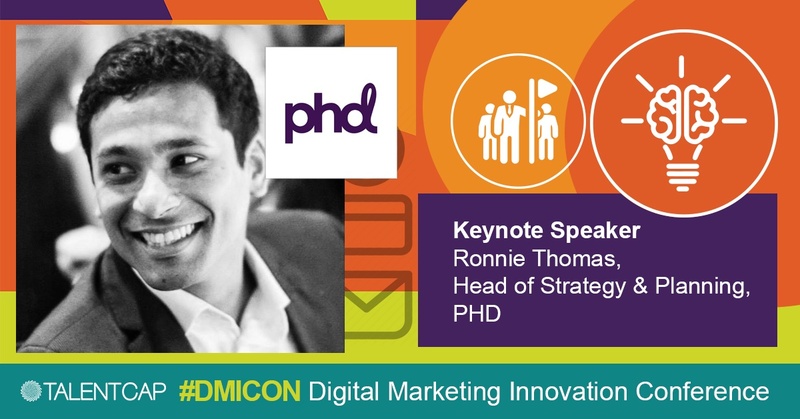 Attend the #DMICON Digital Marketing Innovation Conference Singapore to gain latest insights on digital marketing trends and innovation. With plenty of cross industry learning and networking opportunities, the #DMICON is the perfect place to build a professional network, find business partners, and generate new growth ideas. By learning and implementing key tactics from other industry domains, participants will be able to stay ahead of competitors and increase the overall success of their company. TalentCap has a vision to become the foremost thought leadership platform in the region, creating unmissable events that feature inspiring speakers sharing their first-hand expertise with delegates. As such, they have gone above and beyond to make this event as impactful as possible.